TAMPA, Fla. - Johnny Ford rushed for 164 yards and three touchdowns to help No. 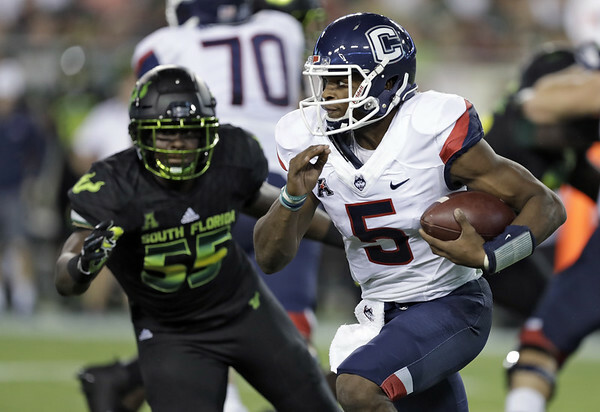 21 South Florida shrug off a slow start to remain unbeaten with a 38-30 victory over Connecticut on Saturday night. It was only the second time UConn hasn't trailed at the half all season. But the prospect for an upset faded quickly. Posted in Newington Town Crier, UConn on Saturday, 20 October 2018 23:29. Updated: Saturday, 20 October 2018 23:32.